Honda's 2019 CBU motorcycle line-up consists of the new CB1000R, Gold Wing Tour DCT, CBR1000RR Fireblade & the CBR1000RR Fireblade SP. Bringing more excitement to riding enthusiasts across the country, Honda Motorcycle & Scooter India Pvt. Ltd. (HMSI) has commenced bookings for its 2019 CBU (Completely Built Unit) motorcycle line-up. Prospective buyers can head over to Honda's exclusive 'Wing World' outlets in Mumbai and Delhi to make their bookings. The Honda CB1000R is powered by a four-cylinder engine which delivers 143.5bhp at 10,500rpm and 104Nm of torque. The bike is based on the design philosophy which Honda likes to refer to as the 'Neo Sports Cafe', meant for younger enthusiasts. The CB1000R comes equipped with a quick shifter, heated grips, a slipper clutch and a Throttle By Wire (TBW) with three preset riding modes. It will be available in a Graphite Black colour option and is priced at ₹ 14.46 lakh (Ex-showroom, Delhi). 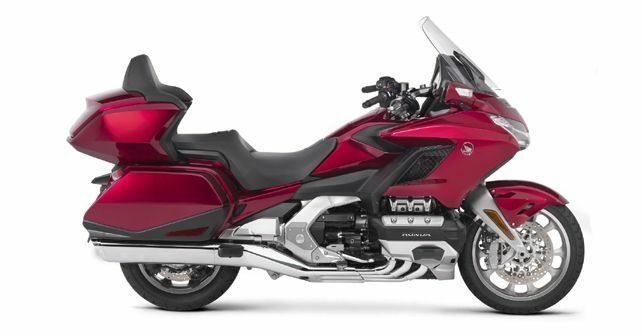 Honda's ultimate touring bike, the Gold Wing, offers a one-of-a-kind riding experience with a host of touring-bike features. In the 2019 version, Apple CarPlay connectivity and Anti-Lock Brakes (ABS) come as standard fitment. As for power, the Gold Wing comes with a 1,833cc flat-six engine which produces 124bhp at 5,500rpm and 170Nm of torque. What's more, the Gold Wing also features multiple suspension and riding modes, Honda's Selectable Torque Control (HSTC) to maintain rear-wheel traction, a Combined Brake System (CBS) and a seven-speed DCT (dual-clutch) gearbox. The Gold Wing GL1800 DCT will be available in a Candy Ardent Red colour option and it has been priced at ₹ 27.79 lakh (Ex-showroom, Delhi). The latest edition of the Honda CBR1000RR Fireblade introduces a 'Wheelie Control System' which ensures secure acceleration. Further, the 2019 iteration is powered by a 1,000cc in-line four-cylinder motor which pumps out 189bhp at 13,000rpm and 114Nm of torque 11,000rpm through a six-speed transmission. The colossal rpm and power figures are enough to make out that the CBR1000RR Fireblade packs in some serious punch, being Honda's premier performance motorbike. In terms of tech, the 2019 Fireblade features a Riding Mode Select System (RMSS). The SP version of the Fireblade, in addition, gets semi-active Ohlins Electronic Control suspension at the front and rear along with a quick shifter and downshift assist. Available in two colour options, a Grand Prix Red and Matte Ballistic Black, the CBR1000RR Fireblade has been priced at ₹ 16.43 lakh whereas the Fireblade SP commands a higher premium, with a price tag of ₹ 19.28 lakh (Ex-showroom, Delhi).